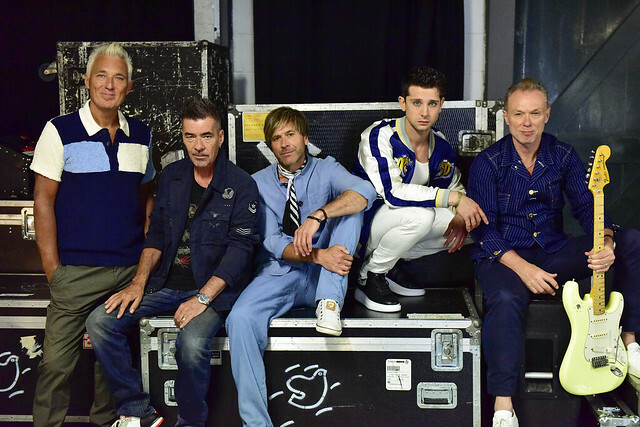 Posted on 04/29/2015 by Mickey McCarter	in Live Review and tagged 9:30 Club, England, Gary Kemp, John Keeble, Martin Kemp, new romantic, new wave, soul, Spandau Ballet, Steve Norman, Steve Strange, Tony Hadley. 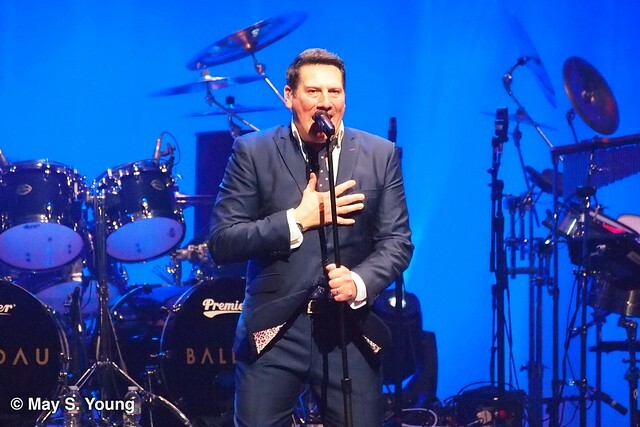 Tony Hadley sings in New York City on May 2, 2015. Golden-voiced Tony Hadley jumped to the stage of the 9:30 Club Tuesday night and nailed the lyrics of more than two dozen amazing songs by his band Spandau Ballet into the collective consciousness of everyone within earshot. In the process, Tony and his bandmates *almost* had more fun than the audience at the very so nearly sold-out show. And they most certainly made certain that after a decades-long absence from the United States that they would not be forgotten here generally or in DC specifically any time soon. Buoyed by the confidence of a band in the thick of strong friendships and camaraderie and confident in a catalog of songs unmatched in their strength and appeal, Spandau Ballet stormed the 9:30 Club with soulful new wave tunes that left men and women aged 20 to 50 screaming for more. Spandau Ballet weren’t just good — they were superb. Tony hit the right note immediately with new song “Soul Boy,” also the title track of a new documentary Soul Boys of the Western World, about the band, premiering tonight, April 29, at the IFC Center in Manhattan with the band’s participation. During the song, the audience gets its first taste of the indefatigable Steve Norman on saxophone.